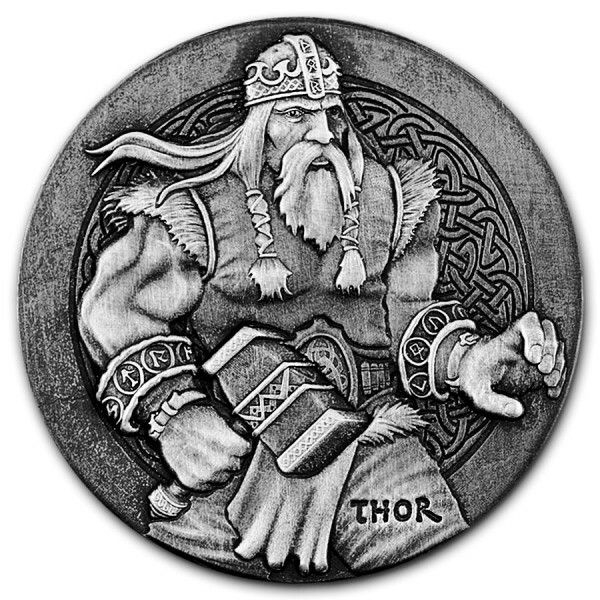 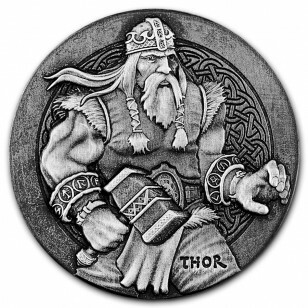 The 2016 Silver Thor coin is the fourth release in the second round of releases of the Scottsdale Mint's Viking Series, it showcases the legendary god of thunder, Thor. 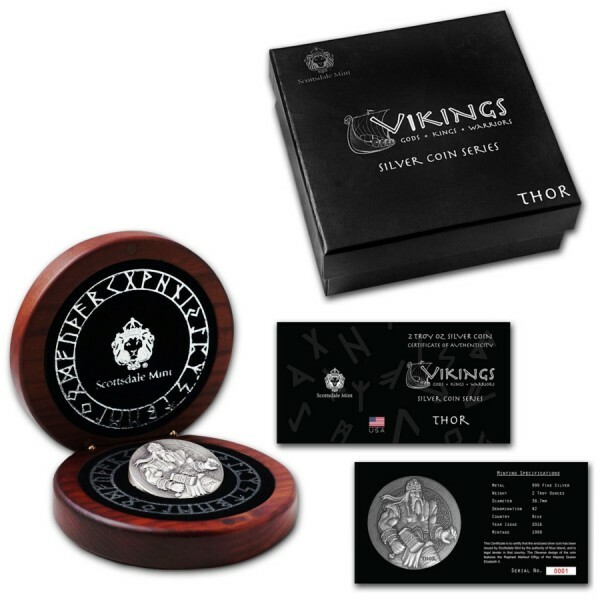 The coin contains two ounces of .999 fine Silver and measures an impressive 38.7 mm in diameter with 6 mm thickness. 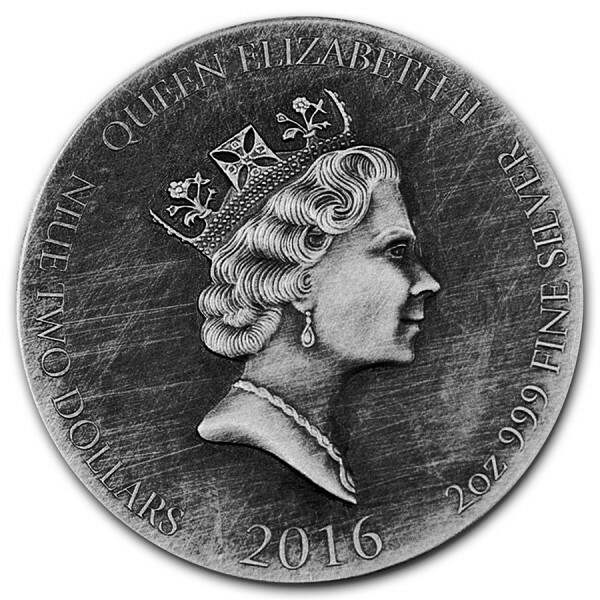 Her Majesty Queen Elizabeth II is classically displayed on the obverse along with the monetary denomination.